Working at home doesn’t have to mean that there is no inspiration to be found around you! The best way to stay motivated is to surround yourself with beautiful things that make you smile. The perfect additions to your team? 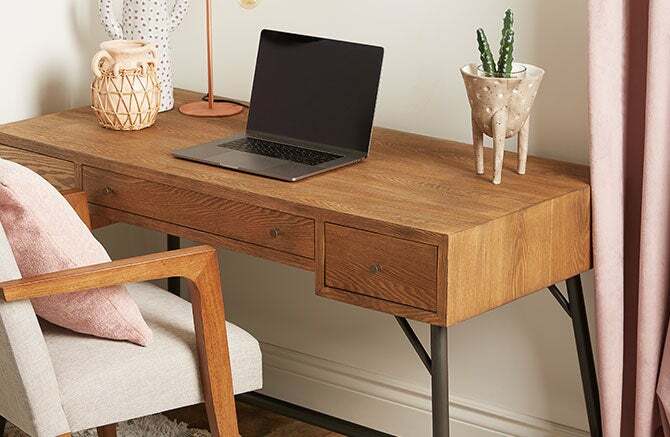 A desk in gorgeous solid wood, sleek white lacquer, sophisticated tempered glass or audacious metal, an adjustable rolling chair that keeps you supported, a table lamp that has your eyes’ best interest in mind, as well as bookshelves, storage units and filing cabinets that keep everything organized. Voilà! A space that works overtime for you! Our office furniture is meant to reflect your personality, even when the paperwork gets to be less than captivating. Get inspired by our décor shots or mix and match to create a space that is all you. Don’t forget to share your inspired interiors on Facebook, Instagram, Google+ and Twitter with #MyStructubeStyle! Task lighting, now that’s a bright idea!